Don't worry folks, we're still working on LCARS 47. We've been really busy adding new network code and rebuilding the Panel app for Android. As you can see, it's designed to work instantly with LCARS 47 running on both PCs and Android devices on your home network. No configuration needed, just install and go. Both LCARS 47 for Windows and MacOS and the Android apps will be free when released. For enquiries regarding the release date of 6.5, read this. As this is an ongoing issue, please be mindful that this issue has gotten really out of control now. We're wasting 4 hours per week having to deal with sorting out "where's 6.5?" to respond to genuine comments and emails. 6.5 is being delayed and delayed because we do not have the staff to spend time on this issue. Once we have a date, you will certainly know about it. Your email is not an exception to this rule. We want to spend this time working on 6.5. and at the moment development has had to be put on hold. We cannot develop LCARS 47 and sort through the huge volumes of messages from people that think we'll suddenly have a date for them. We have therefore built a robot to answer questions relating to the release of 6.5. Please feel free to ask him that question... over and over, and over. Specially built robot team member for answering single question. Seriously. Stop it. LCARS 47 will be delayed another 3 years if we keep having to wade through the volume of communication asking this same question over and over and over. If you really really want a timeframe, bookmark our stardate Time Beacon. It's our own stardate system and it's pretty functional—or at least we think so. I promise you, that LCARS 47 version 6.5 will definitely be released on a date with numbers in it. It's taken three years to get to where we are now and we still have a long way to go. 6.5 is shaping up nicely and will be the best we've made by far. Our feature packed 24th century experience will hopefully do nothing less than smash your expectations. I know you're all pulling your hair out wondering where 6.5 is... We really appreciate your patience, and thank you all for your continued support. Over the past 6 months, there's been mentions of Eventus and what it is. This is why we thought that developing Eventus was worth the delayed release. This is what you'll be getting. Cheap Android phone + door + LCARS 47... Introducing Panel. Simple no frills app, glue a cheap old phone to a doorside, and bam! Doorbell, lights, network wide alerts... Runabout not included. Little ship jokes however are. Welcome to the 24th century. More updates to come. Don't worry folks, we're still working; we're just doing mostly backend stuff. Thanks for your patience. We'll beam down some regular updates soon! What a weekend! If you were at the much anticipated Destination Star Trek™ Europe at the NEC, Birmingham, you may have noticed some huge LCARS panels around the convention centre. That was us! We had 2 days to come up with some customised LCARS animations and countdown clocks to run before some seriously big Star Trek™ names hit the stage. The animations were to run on two fifteen metre LED screens, the best LED screens we've ever seen. It was a rush from arrival to departure. We used six custom builds of LCARS 47 version 6.5, three on each screen. Thankfully, the convention crew brought two beefy i7s loaded with nVidia 1080s to run it. We were very happy with the result. The guests were absolutely amazing to watch. We got to see the much anticipated Shatner's World, which was very funny and moving throughout. Would we do it again? Absolutely. It was a great event and we loved providing the graphics throughout. We'd like to thank Showmasters for their invitation to Destination Star Trek™ Europe. We had a great time! Here they are folks. This is something I've been meaning to post for ages. It's a sample of the new Planetary Database for 6.5. Featuring brand new planet renders for every planet featured in Star Trek. Now, that's a big deal, so this is something that we'll be rolling out over the life of 6.5 with continuous updates. Each planet has been rendered from scratch, while making sure that they are as screen accurate as possible. Artistic licence is used in places where planet images have been reused in the show, but I think you guys will be fine with that. The main races in Star Trek however, should be recognisable. Finally, some 3D. Eleanor was never happy with the sparse (and badly optimized) 3D components in previous versions, so we've revised the method. New assets, better quality. Also shown is the new "reconfiguring UI" which adds a more natural transition between various UI configurations. There's no doubt, Captain, right down to your aggressive strain of full motion 3D... New 3D additions to LCARS 47 in version 6.5, the 3D DNA comparison faithfully recreated frame by frame. Music is our cover of the theme from Star Trek®: Nemesis™. Score courtesy of Sony ATV Publishing (STAR TREK: NEMESIS - SCORE). This video shows the surprisingly popular interactive addition to LCARS 47, Stellar Cartography; a system that was never fully realised in previous versions. Special thanks to NASA, ESA, JPL, and the crew of the Apollo 17 mission for the inspiring images. 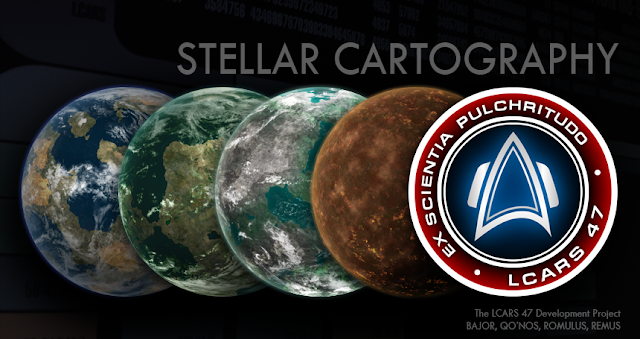 Stellar Cartography is getting a massive overhaul, we're adding a huge Stellar Cartography database to LCARS 47 version 6.5. That's a lot of planets. And yes. We're doing them all... From scratch. Each planet will be drawn based on established facts and what we've seen on screen. The above image shows our brand new planet images of Bajor, Qo'Nos, Romulus and Remus. This will be an area where a considerable amount of artistic licence will be needed; but we're happy with the results. 6.5 is going to be immense. 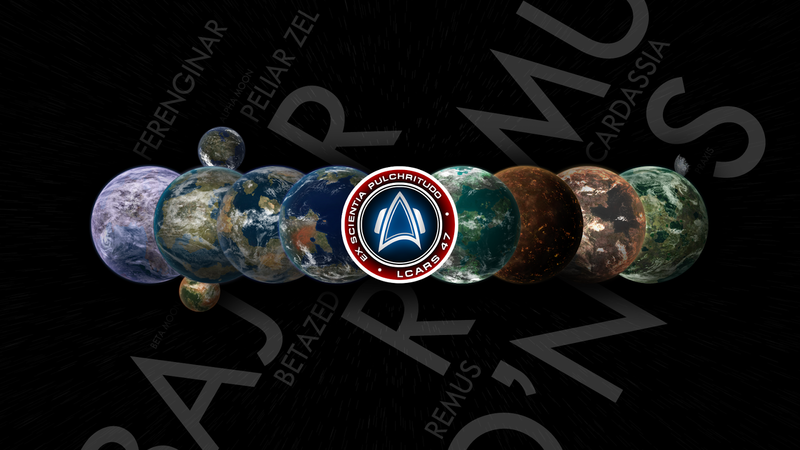 Those of you that have been asking about our stardate system, this post is for you! Here's our brand new time beacon. This stardate system is standardised starting 6 months after the events of Nemesis and will be used throughout LCARS 47. We developed a system that takes off where Star Trek left whilst maintaining the integrity of canon dates the best we can. Please note that the stardate new year is May 24 (leap year depending). It will not work alongside other calculators that are using present day times (-335218), Star Trek Online's system (which is about 40 years after Nemesis) or any other made-up system. Use of this system is granted for any non-commercial purposes, just make a note that you're using the "LCARS 47 Time Beacon" in your documentation. Commercial use is prohibited. That means you may not use this system as part of paid apps or apps containing ads. Special thanks to Martin Gillow for his work on the Time Beacon page. Due to an unexpected popularity regarding the T ime Beacon, we are no longer accepting individual formula requests by email as responding to each has become prohibitively time consuming. 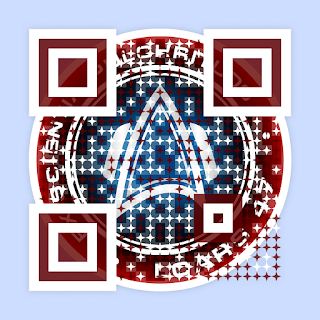 We will instead release the formula along with LCARS 47 version 6.5. These videos are becoming a regular thing... This one shows two instances of LCARS 47 v6.5 running on twin touchscreens. Dual touchscreens really make the transporter controls an energizing experience... The helm module is also spread across two monitors. The cursor pads at either side of the touchscreens are part of the helm module in Vexillum, which will work in tandem with Prolixus. 6.5 will support up to six monitors for you to mix and match Vexillum and Prolixus as you desire. If that's not enough, they'll also work over a LAN with other computers running LCARS 47. Want more? If you have an Android smartphone or tablet, then there's Expeditus, which will of course also connect to LCARS 47 running on your LAN. Because why wait for the 24th century? This video shows one of the new features for version 6.5, the transporter control panel. The module is designed to span two monitors. However cycling between each "half" of the module is possible as demonstrated here for those of you that don't have multiple monitor setups. This video shows 3 of the most recognisable LCARS readouts, the Subspace Scan Analysis, the Forward Navigational Scan, and the Local Memory Allocation as well as a peek at the new directory system coming to 6.5.